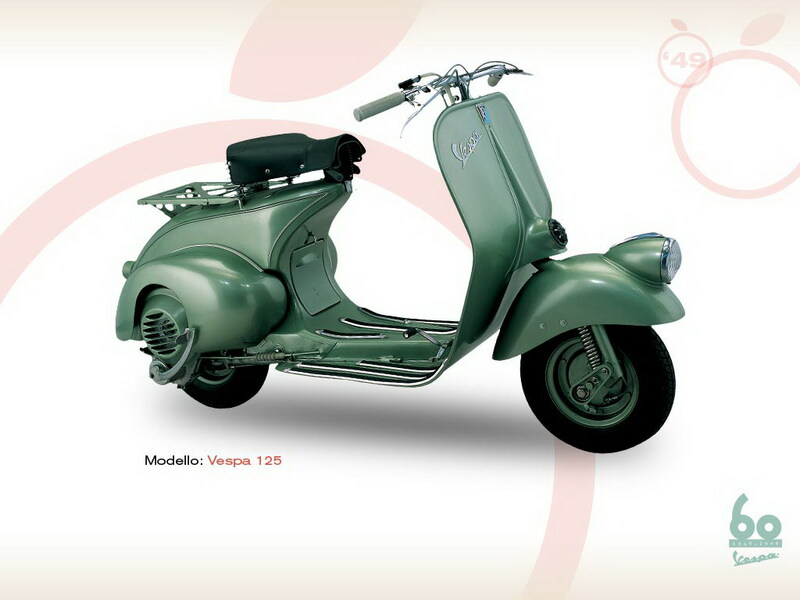 In 1948, Piaggio launched its new Vespa. With respect to the original model of 1946, the engine size had been increased to 125 cc, and a shock-absorber mounted on the rear wheel offered a more comfortable ride. The front-wheel suspension had been modified too, with the arm being mounted to the right of the wheel, where it would remain for years to come. Also, the engine casing now opened upwards giving easy access to the engine, as well as to the other mechanical parts of the propeller. The 1949 version (as the model at the Piaggio Museum) is slightly modified with improvements in its cooling system and gear control. Two-stroke single cylinder engine, with the cylinder in cast-iron and the cylinder head in light alloy. Suspension: helicoidal spring on the front wheel, elastic with helicoidal spring and hydraulic shock-absorber on the rear wheel.